The subtitle is The Regulators Meet the Operators, at NANOG 48, Austin, Texas, 22 Feb 2010. The ground rules of the panel are that it’s not about politics or policy. It assumes there will be net neutrality, and it’s about getting actual network engineers and architects involved in implementing it. Prior reading: pages 41-51 of the Notice of Proposed Rulemaking (NPRM). I’d actually recommend starting at page 37, which is where the NPRM discusses codifying the existing four Internet principles (see below). The first four principles have been around for several years. The last two, nondiscrimination and transparency, are the same as the ones Scott Bradner’s petition recommended back in June 2009. Back then I mentioned as I always do that the FCC could also stop talking about consumers and talk about participants. Interestingly, their slide at this talk did not use the word “consumer”, so maybe they’ve gotten to that point, too. 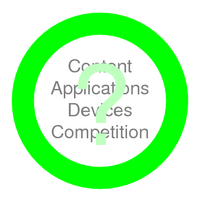 This entry was posted in Applications, Broadband, Cable, Censorship, Communication, Competition, Content, Copyright, Devices, Distributed Participation, DSL, Filtering, Government, Innovation, Internet Access, Internet freedom, Net Neutrality, Principles, Privacy, Public Policy, Regulation, Stakeholders, Wireless Internet and tagged access, applications, Austin, Broadband, Competition, content, Devices, eyeballs, FCC, Internet freedom, NANOG, net neutrality, nondiscrimination, NPRM, services, Texas, transparency, users, wired, wireless on February 22, 2010 by John S. Quarterman. Remember how Comcast this week told us that 1) the FCC's "Internet policy statement" (PDF) had no legal force and 2) that the agency might not have the authority to enact such rules even if it wanted to? Those theories will soon be put to the test, as Republican FCC Chairman Kevin Martin now says he wants to rule against Comcast in the dispute over the company's P2P upload throttling. Score one huge, precedent-setting win for net neutrality backers. Martin stands up for "principles"
Martin broke the news Thursday evening by way of the Associated Press, telling them that "the Commission has adopted a set of principles that protects consumers' access to the Internet. We found that Comcast's actions in this instance violated our principles." The decision could be an historic one, but not for its actual effect on Comcast. The cable company has already announced plans to transition away from the current throttling regime to something that looks more at overall bandwidth use rather than particular applications. Trials in Pennsylvania are currently underway on the new system, set to be deployed by year’s end. Martin’s order would therefore not require the company to do anything new, but it would have to provide more detail about past and future practices. Lots of sound and fury signifying…? I’d say it’s a bit too early to say Scott Cleland was wrong when he said enforcement of the FCC’s net neutrality principles was “preposterous”. This entry was posted in Applications, Competition, Content, Devices, Distributed Participation, Internet freedom, Net Neutrality, Principles, Stifling and tagged Comcast, FCC, Kevin Martin, net neutrality, P2P, Principles on July 11, 2008 by John S. Quarterman. 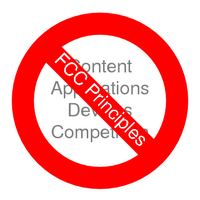 The petitions assume that the FCC’s policy of network neutrality principles have the legal and binding effect of formal FCC rules or law and that they trump all existing law and rules. This is preposterous. Indeed, it is preposterous to think that the FCC ever meant to enforce its net neutrality “Policy Statement” of August 2005. Even if it did, the very way the four “principles” in that statement are worded, every one in terms of consumers, excludes the very existence of participatory services such as BitTorrent. Cleland’s blog goes to great lengths to spell out what he considers common sense (which means he knows he doesn’t actually have a legal argument). Don’t be surprised if his items get parrotted by other anti-Internet-freedom blogs. And don’t be surprised if the FCC rules in favor of Comcast, even though any competent network engineer can tell you that there are ways to do network management that don’t involve faking reset packets, a technique that would be considered malicious denial of service if it came from any entity other than an ISP, not to mention Comcast’s BitTorrent stifling seems closer to the fraudulent promise of unlimited service that got Verizon fined by New York State. [Clarified:] It’s not about network management. It’s about a few corporations and their political allies trying to stifle net neutrality and Internet freedom against the best interests of everyone else, including their own customers. This entry was posted in Applications, Competition, Content, Corruption, Devices, Distributed Participation, Duopoly, Internet freedom, Net Neutrality, Stifling and tagged net neutrality FCC principles content applications devices competition consumers duopoly Internet freedom control on January 16, 2008 by John S. Quarterman.